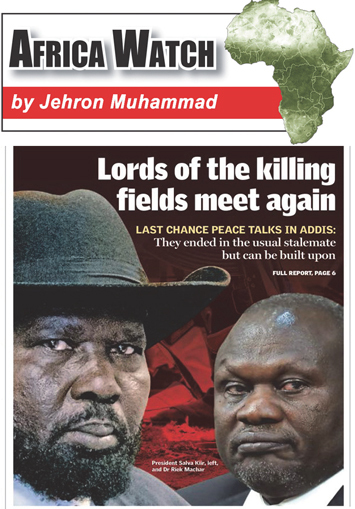 Before the ink was dry on yet another peace agreement to end South Sudan’s hostilities, violations occurred between President Salva Kiir’s forces and troops belonging to rebel leader and former South Sudan vice-president Rick Machar. The two leaders, meeting June 26 in Khartoum with President Omar Bashir and after two days of talks that included Uganda President Yoweri Museveni, reached a compromise. South Sudan, Africa’s newest country has spent much of its short life at war with itself, the result of a political face-off between President Kiir and Mr. Machar. This feud erupted into a full-blown conflict late in 2013. 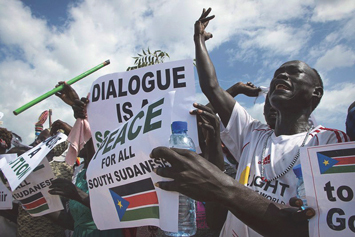 Before an August 2015 peace deal ended major offensives, over 50,000 people had been killed and nearly 2.5 million people fled their homes, making South Sudan the world’s fourth largest refugee producing country, and second largest in sub-Saharan Africa after Somalia. The areas of proposed agreement included a permanent ceasefire, containment of opposing forces and deployment of troops from IGAD, a bloc of eight East African countries, and the African Union to safeguard the ceasefire. According to TheEastAfrican, the framework agreement was “to allow the Khartoum government to secure the oil fields in South Sudan in coordination with the Juba administration, and to rehabilitate the wells” and restore them to previous levels of production. Landlocked South Sudan supplies the oil and Sudan will supply the oil pipeline and allow for shipment to international markets. According to published reports, the Riek Machar-led rebels rejected parts of the deal, which came ahead of any final settlement, leading to renewed attacks from both sides. Moussa Faki Mahamat, chair of the African Union Commission, talked about South Sudan during a recent African Union Summit in Mauritania. He called for measures to be taken against key rival players in the conflict. “The situation in South Sudan is serious. The humanitarian and security situation is increasingly difficult,” he said at the AU meeting.